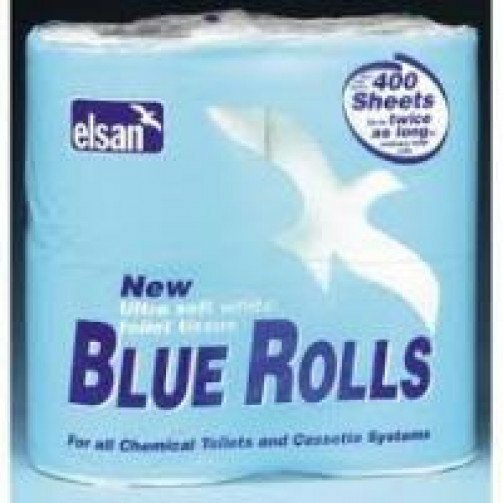 Soft, strong and specifically manufactured for chemical and cassette toilet systems, Blue Rolls are the ideal choice for caravan and marine use. And with approximately 400 sheets per roll they offer excellent value for money. New Blue Rolls are up to twice as long as ordinary toilet rolls, giving exceptional value for money having as they do approximately 400 sheets on each roll. Strong 2ply tissue micro impressions create an ultra soft textured, high quality feel. Blue Rolls are produced from sustainable resources.